From last few days, many Mi A1 users contacted us and ask us a question like “How to Lock Mi A1 Bootloader” or “What are the steps to Relock Bootloader of Mi A1”. So today in this guide we are going to discuss Mi A1 Bootloader. And what happens when you Unlock Bootloader on Mi a1 and How to lock Bootloader again on Unlock Mi A1. Once you unlock the bootloader of your phone, You will see this type of message on your on boot-up that ‘Your device can’t be checked for corruption. Please lock the bootloader’. Yes, that means your phone is a security risk and that means it becomes less secure and more vulnerable to malware attacks, which may lead to the disclosure and loss of your private data. And also you will lose the warranty of your phone once you unlock the bootloader. 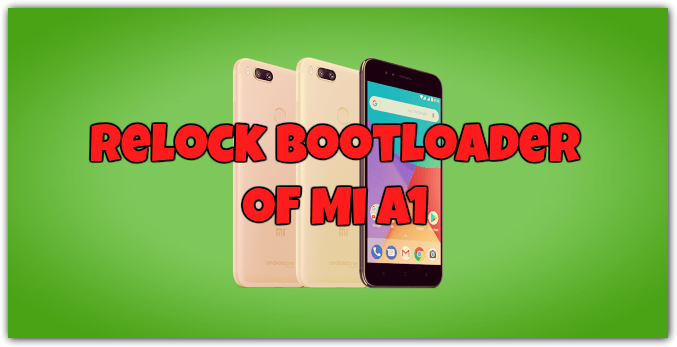 So here in this tutorial, I will explain to you how you can easily Relock Bootloader of Mi A1. All you have to run one simple command on your phone and you can easily lock the bootloader of your Mi A1 Phone. The below mention guide is only for the Xiaomi Mi A1 Android One users and don’t apply this method to any other phone. Read all the steps very carefully can follow all the steps very carefully. The main advantage of unlocking the bootloader on Mi a1 is rooting. If you want your Android is rooted or if you want a custom ROM to install the unlocking bootloader is an initial step. Without unlocking the bootloader on your phone you can’t make changes in the System. However it has advantages, you must be ready to prepare for disadvantages too. Bootloader unlocks can cause the loss of warranty. 1. By unlocking the phone you agree that this may bring changes to some parts of the system. 2. The phone becomes less secure and more vulnerable to malware attacks, which may lead to the disclosure and loss of your private data. 3. Some features which require high security level (e.g., Android Pay, added-value services, etc.) will no longer work on the phone. 4. After the device is unlocked, some features will be changed. 1. Download and install ADB drivers here and you will see the ADB folder on your Windows C Drive. 3. Make sure that sure phone has enough battery. Above 60%. 4. Read the guide carefully. Technobuzz.net is not responsible for any damage that might happen to your phone during this process. Step 1. First Boot your phone in Fastboot mode. To do this, Switch off your phone and Hold Volume Down + Power button. 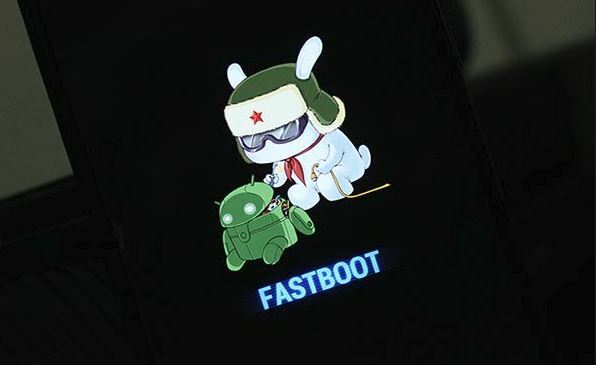 Now you will see the Fastboot screen on your Mi A1. Step 2. Now open the ADB folder that you created while installing the ADB drivers. Step 3. 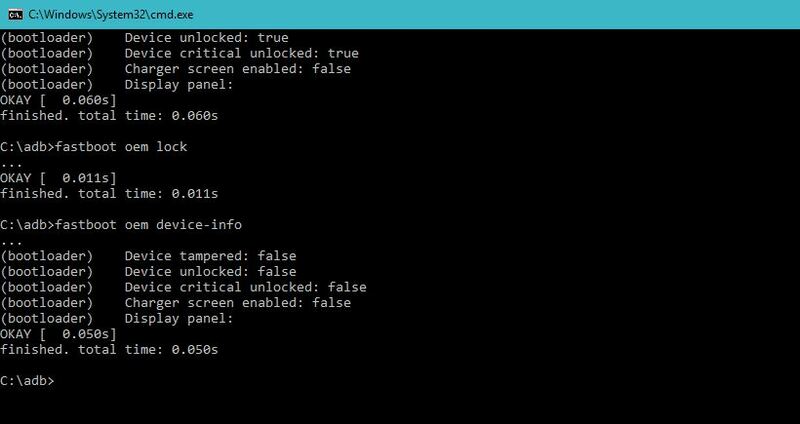 Open the Command Prompt Window in ADB folder. To do this Hold Shift button on your Keyboard and Right click on the empty space of the Folder and Select Open Command prompt window. Step 4. Now connect your phone to the PC with USB cable. Step 5. Now run the following command to check your bootloader is locked or unlocked. Step 6. Now you will see this type of message on your screen. 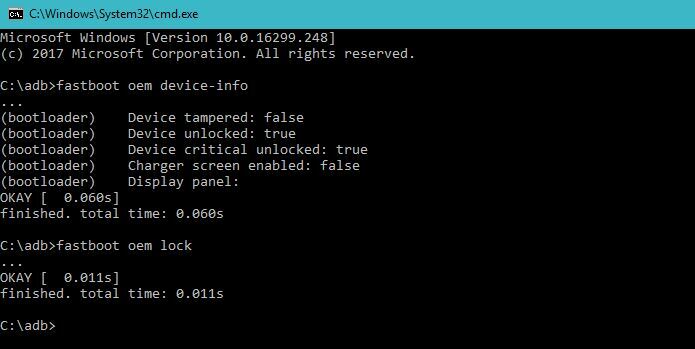 If device unlocked is true, that means your phone’s bootloader is unlocked. And you have to lock it. Step 7. Now enter the following command to lock the bootloader of Mi A1. Step 8. Now the bootloader is locked. To check it again is it locked or not. Enter this command. Step 9. 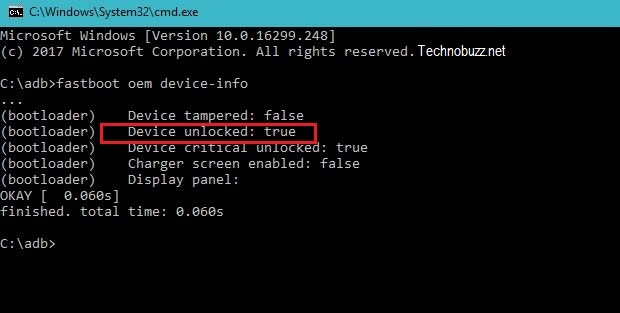 Now you can see that device unlocked is false. That Means you successfully locked the bootloader of Mi A1. Step 10. Now to boot your phone in normal mode. Run this command. Now your phone will reboot and the bootloader of your phone is locked again. So with these simple steps you can Relock Bootloader of Mi A1 Android One. If you are facing some problem with this guide, then leave the comment below, we will help you to fix it up.